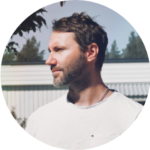 This is a collection of video tutorials and articles tailored towards the Bitwig Studio DAW. Here you will find tons of good tips and tricks to sharpen your Bitwig skills. Importantly, to grow as a music producer. Let’s go! Are you a beginner and want to learn the basics of Bitwig? We also have the Bitwig Basics Tutorial Series tailored for new Bitwig users. 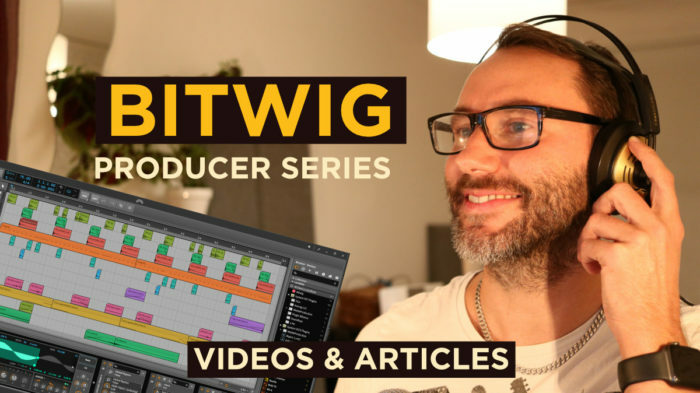 Learn all about Bitwig Studio DAW with the powerful producer videos. How to make Trap Beats in Bitwig Studio. Dynamics vs Compressor plugin in Bitwig Studio. Dynamic expansion explained. Learn how to create a custom Multiband Compressor in Bitwig Studio! Creative Sound Design with the sampler in Bitwig Studio. Make beats like a Bitwig PRO Producer. Bitwig Midi Controllers Maschine Jam & Panorama P6. How to show midi controller data in Bitwig Studio 2 console window. Exporting Masters with the Best Settings in Bitwig Studio. Christmas Game Music in Bitwig Studio. Producer Essentials Pack Vol 1 – Bitwig – Make a Trap Beat! Voice Leading Lesson – Cinematic Strings E01. Sound Transition Technique Tips | Risers & Downers | Bitwig. How to make Future Bass Wobble Chords in Bitwig Studio. Bitwig Producer Tips – Future Bass 808, Transitions, Vocals. Bitwig Production Tip | Drum Toolbox & Drum Machine. How to finalise a song. Stuck in the 8 bar loop? Bitwig Studio tutorial. Master the Art of Audio Mastering in Bitwig Studio. Bitwig 2.4 – What’s new – The Sampler | Create Cinematic Sounds. How to make your EDM Drop Bigger (Like Seven Lions) in Bitwig Studio. How to compose music like the Fortnite menu theme in Bitwig Studio. Omnisphere 2.5 First Look & Sound Design Tutorial in Bitwig. Bitwig – How to make synth wave music E02. How to make Music For Games – Bitwig String Tutorial. Bitwig: How to make Future Bass – phase 4 tutorial. Bitwig – How to make a water drop for Future Bass in Bitwig Studio. Bitwig – Zebra 2.8 in a song context with Bitwig Studio. Bitwig Tutorial – Epic Vocal Effect Chain. Bitwig Tutorial – How to create Custom Waveshape synth. Game music – Gladiator Theme – Futissimo, using Cinewinds in Bitwig Studio. Bitwig tutorial: Sampler, note velocity to start position. We have developed several quality preset packs for Bitwig. Our latest release, Rytmica, is a preset library with organic arpeggiation sounds. Importantly, it’s suitable for songwriting, game and film music. We also have a mighty library called Producer Essentials Pack Vol #1 for Bitwig Studio. It contains a broad collection of quality presets for the modern hip hop and EDM composer. The kit also features the renowned Producer Essentials Kit which features plenty of tools to give you a great start making beats. Firstly, this collection of Bitwig tutorials were created with the medium to advanced user in mind. If you want to expand your Bitwig knowledge this is a great place to start. Go ahead and visit the You Tube playlist I created featuring all the Bitwig videos. Secondly, our Bitwig videos also teach song writing techniques. Knowledge that will help you grow as a music producer. Lastly, the Bitwig Studio Tutorials for advanced users will also grow your insight into modular synthesis. Bitwig is a modular environment with chainable devices. It’s a great way of learning how a synth sound is created from scratch. In conclusion, this is the best place to start if you want to become a full blown Bitwig master. While creating these Bitwig videos we also produced deeper articles on the subject of beat creation. These articles will teach you modern techniques in music production. Learn more about how producers create drum kits here. While Bitwig Studio is a fairly new DAW on the market, it still offers many features not seen in other DAWs. Furthermore, it might feel a bit daunting to learn a new software. But it will eventually be a very rewarding adventure. You will write music faster, produce compelling and professional mixes faster. In conclusion, it will make music making more fun. Next Post Best delay plugin for vocals in 2019.